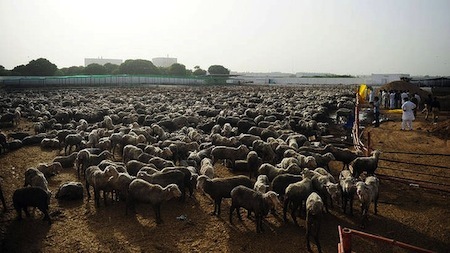 The rejection of a shipload of Australian sheep by Bahrain and the subsequent debacle in Pakistan has revealed that there is no guaranteed destination, let alone safety for animals who leave Australian shores. New reports from Pakistan have surfaced, of video footage revealing that Australian sheep have been clubbed, stabbed and buried alive in a brutal mass cull. Up to 7,000 sheep have already been killed, after local authorities ordered the slaughter. Like a giant mass of wool, bloodied and filthy, they lay in trenches � slit open, stabbed or clubbed to death, while many still wriggled with some life left in them, soon to be buried alive. This was the horrific and brutal fate that the Australian sheep, which provincial authorities had claimed were diseased, met after their culling was ordered. Despite Pakistani and Australian officials, and an independent vet declaring the animals healthy, local authorities ordered the cull, claiming the animals were diseased. Now with a court injunction in place to halt the cull, thousands of surviving sheep face an uncertain fate. In an attempt to avoid a major live export disaster, the Australian government and the live exporter rushed through approval for Pakistan to receive Australian sheep. Yet, two weeks after these sheep were unloaded in Pakistan it would appear that the situation for them has gone from bad to worse. These 21,000 sheep are still being held in overcrowded mud-filled pens — their ability to lie or reach food and water severely restricted. With allegations re-emerging that the sheep are diseased, Pakistani authorities have ordered the animals be killed en mass and buried in pits. Yet, as this mass cull begins, local media are also reporting that some of these sheep are being sold to locals outside of the approved supply chain. A tragedy like this was never meant to happen again. In 2003, nearly 6000 Australian sheep died in appalling conditions on board the Cormo Express, as it aimlessly in the Middle East for 2 months, unable to find a port that would accept them. Trade only resumed to the Middle East, because Memorandums of Understanding were put in place to ensure such a tragedy never happened again. But it has happened again. After Bahrain refused to accept them, the 21,000 sheep on board the Ocean Drover languished at sea for the last 10 days, the industry was desperately seeking a country that would take them. Pakistan has never taken Australian sheep before. But with no other options, the Australian government 'fast-tracked' regulatory approval for Pakistan to take the animals. It is a known fact that every day longer that animals spend at sea more animals suffer and die. Sadly, those that have survived this ordeal will now face a brutal ending to their journey: conscious slaughter. This same week, we have uncovered that a second shipload of Australian sheep headed for Kuwait was also initially rejected. Tens of thousands of animals were stranded on board for an additional week before they were finally permitted to unload in Kuwait. Bahrain's and Kuwait's blatant disregard for their MOU obligations to unload these sheep shows that such agreements are not worth the paper they are written on. These incident present further proof that once animals leave our shores they will always be at risk, no matter what measures the government puts in place. How can any government allow live animals to leave this shore when they do not have a rock solid guarantee that they will be accepted? While live exports continue, animals will continue to suffer and incidents like this will remain a risk for every animal exported. 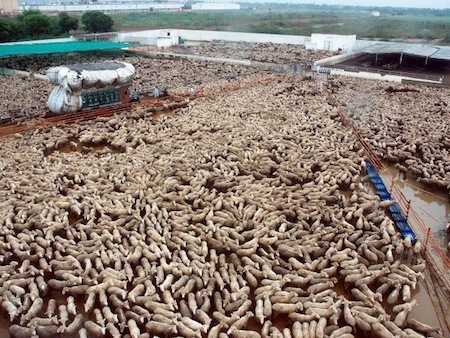 You can speak up for these sheep and lobby to prevent further live export disasters by urging your local MP to push for a ban on live exports.